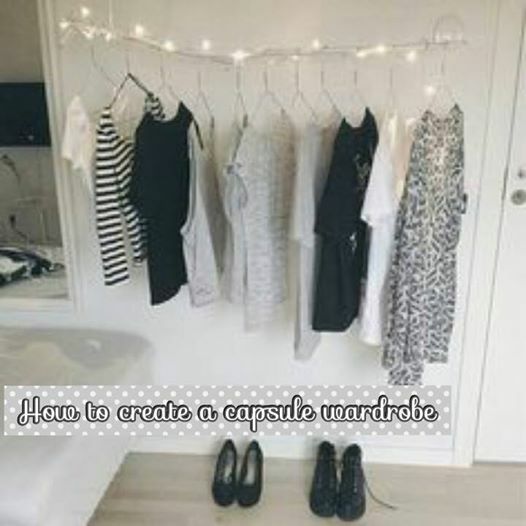 How to create a Capsule wardrobe! A capsule wardrobe is a collection of a few must have items of clothing and accessories that you love to wear and never go out of fashion. Each of these items can be worn in a different way to create a completely new outfit for all occasions. Do you find yourself shouting “I have nothing to wear” at your overflowing wardrobe…. Yep we have all done it. The more clothes we have in our wardrobes the less we seem to have to wear. Fashion never sleeps it is always changing and because we follow the latest trends our clothes become out of date and no longer whats considered “in style” so we don’t wear them anymore. But there are a few key pieces that never go away that never change these pieces are “timeless” and can be worn whatever the season or trend. 23. Black strappy high sandles. For me my list includes everthing you will need to create outfits that can be worn casual, for a special occasion or for anything in between whatever the weather. I hope you enjoyed this post and hope it helps anyone who feels like they are stuck in a rut with their wardrobe and style. My advice is to keep it simple and you can never go wrong. If you have any questions please leave them below.